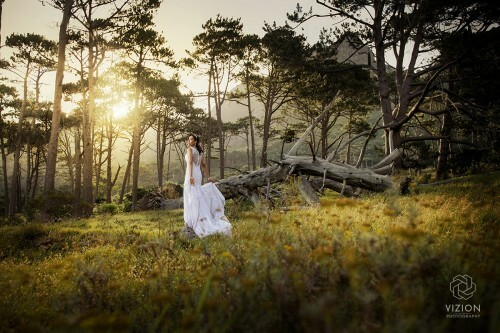 It took me a while to find the perfect location for Tahmeryn and Brandon’s “trash the dress” shoot. 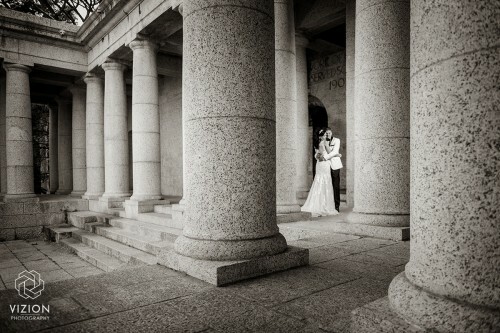 I was looking for a place with elements of classic architecture, nested in the setting of nature. 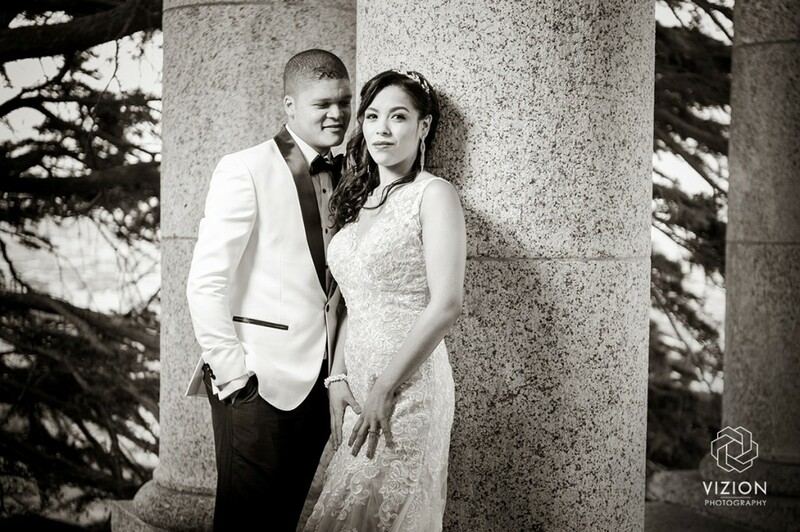 Initially I was thinking of a Cape Dutch manor house at one of the famous wine farms, but then I another place came to my mind: Rhodes Memorial! It seemed absolutely perfect for this “trash the dress” shoot, since we weren’t actually going to “trash” Tahmeryn’s beautiful outfit. The rhythm of columns and the structure of the stone make a great background for this elegant photo shoot. Tahmeryn did her own hair and make up for this photo shoot and it looked amazing! She used the original headpiece from the wedding and she decided to wear the second dress from the reception. Tahmeryn had two show-stopping outfits on the day, both shipped from Dubai and both perfectly fitted to her statue-like figure. 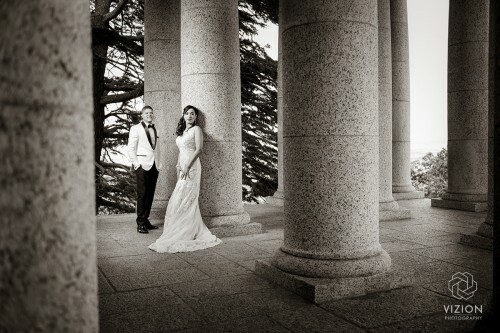 The second dress, made of lace and cream satin under layer, worked perfectly for this “trash the dress” shoot, bringing softness to the harsh structure of the building. 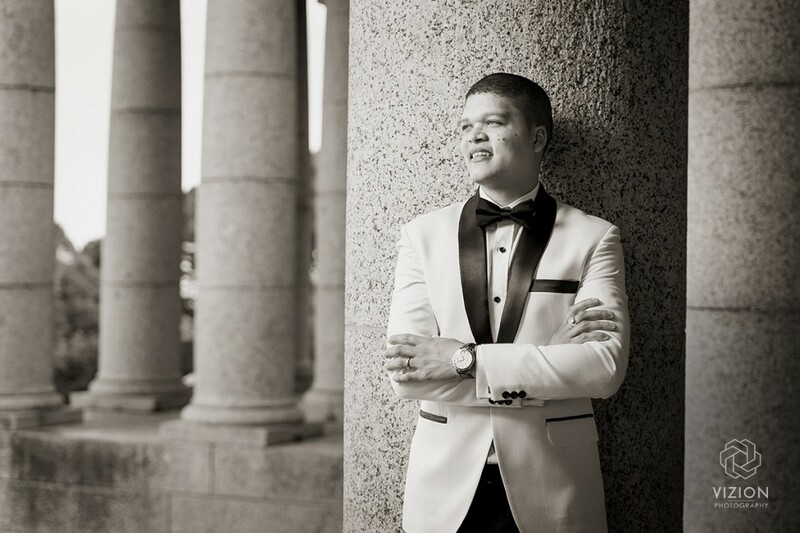 Brandon arrived in his fitted white tuxedo jacket and a black bow tie. This groom wears his tux so effortlessly! 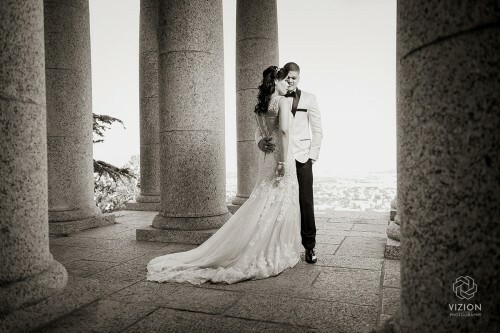 The couple liked breathtaking in the grand setting of Rhodes Memorial. 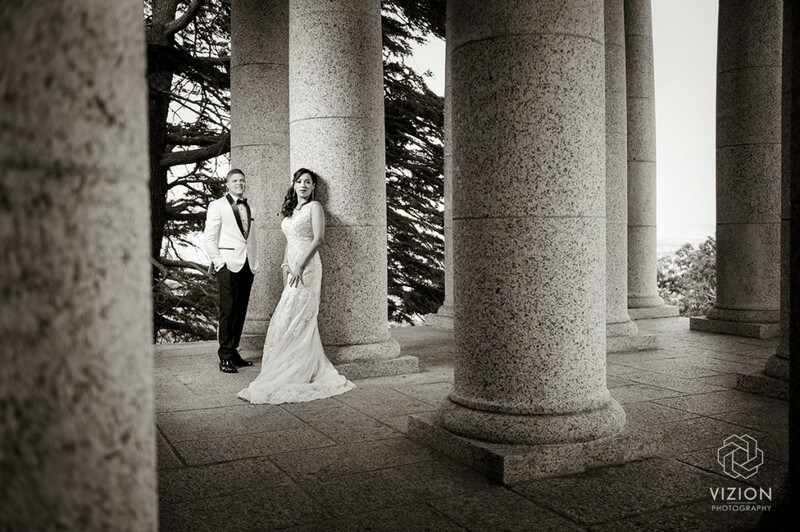 We played with different poses and movements, to capture the subtle connection between the newlyweds and the spectacular surroundings. The sun setting behind the monument framed the entire scene in golden mist. 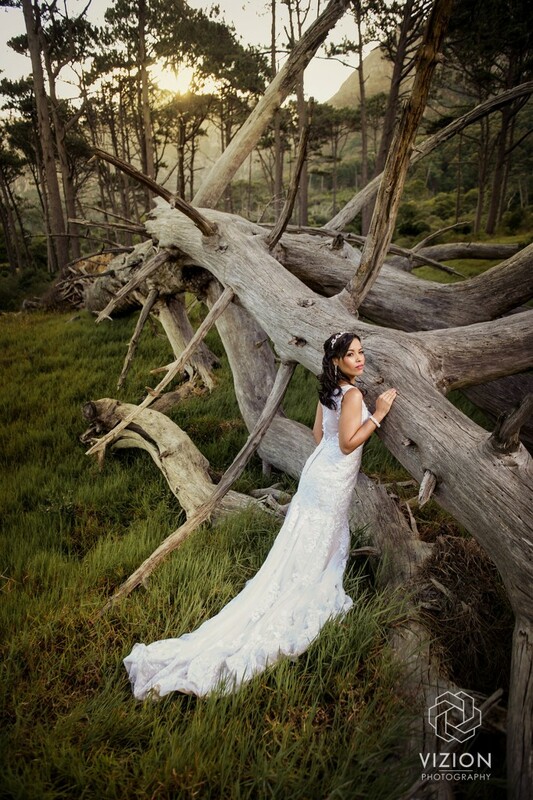 Our last stop for Tahmeryn and Brandon’s “trash the dress” shoot was the forest at Table Mountain. 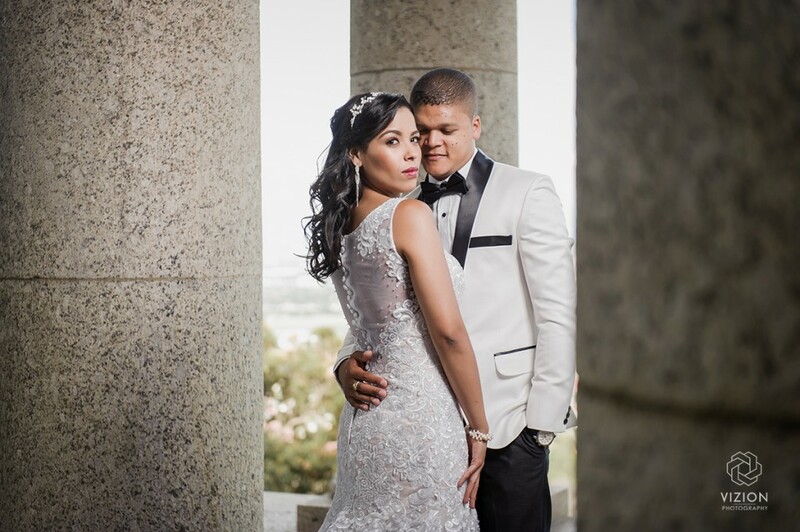 Filled with fallen trees and tall grass, the forest made an ideal setting for this glamorous couple. Tahmeryn bravely hopped onto rocks, posing in the evening sunlight. 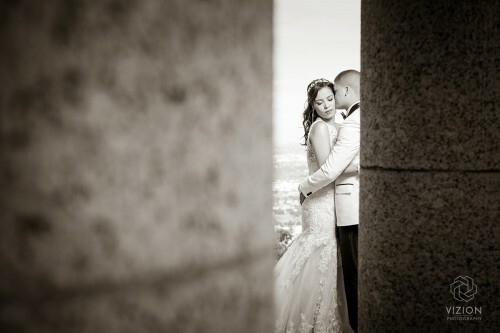 I cannot express how much I love working with this couple! With the figure like a Greek statue and a classic beauty queen face, Tahmeryn just owns every single photograph! Brandon is also a great model, naturally falling into perfect poses in front of the camera. We enjoyed this “trash the dress” shoot very much and I really hope this just the beginning of our photographic journey together! Brandon and Tahmeryn are the dream couple to photograph.